You're all set! 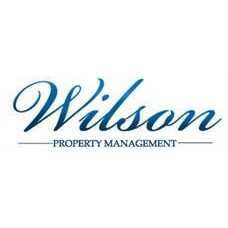 Confirm you want deals for Wilson property Management in -zip-? Established in 1989, Wilson Property Management, Inc. (WPM) is a full service management company offering both homeowner association and rental management. Judy Wilson started the company with the philosophy of leasing, management, and sales with a personal touch. Judy Wilson retired in 2002 and left the business to her daughter Beth Black, and son-in-law, Jeb Black to continue her philosophy. Wilson Property Management currently manages 16 associations, approximately 1000 individual rental units, and currently has four on site offices. Through various staff members, the company is a member of the National Board of Realtors, the Property Management Division of the National Board of Realtors, Raleigh/Wake County Board of Realtors, and the Property Management division of the Raleigh/Wake County board of Realtors, Community Association Institute, National Board of Certification for Community Association Managers and the National Apartment Association. WPM strongly encourages and supports continuing education for all employees, both as requirements to maintain licenses/designations and gain knowledge in the ever-changing field of property management. The software program utilized by WPM is Rent Manager, which is designed for association and rental management. Bonded by Nationwide Insurance, WPM carries both liability and workmen?s compensation insurance.